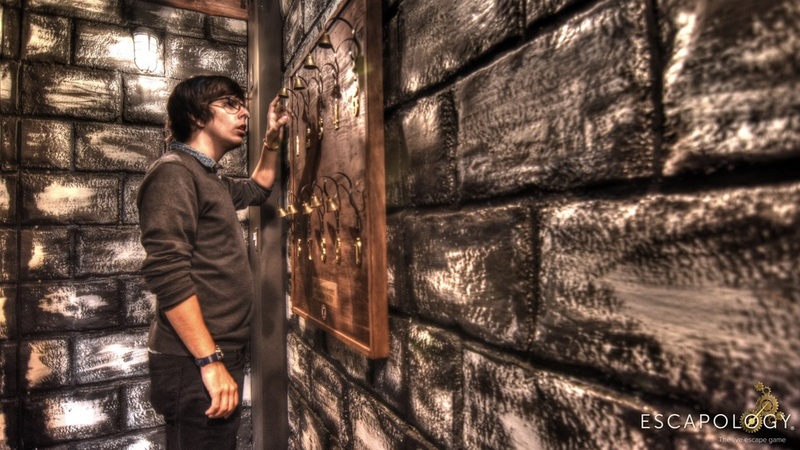 The Touring Central Florida team recently tried our hand at an escape room at Escapology Orlando, which has seven different experiences available, including the brand new 7 Deadly Sins game. 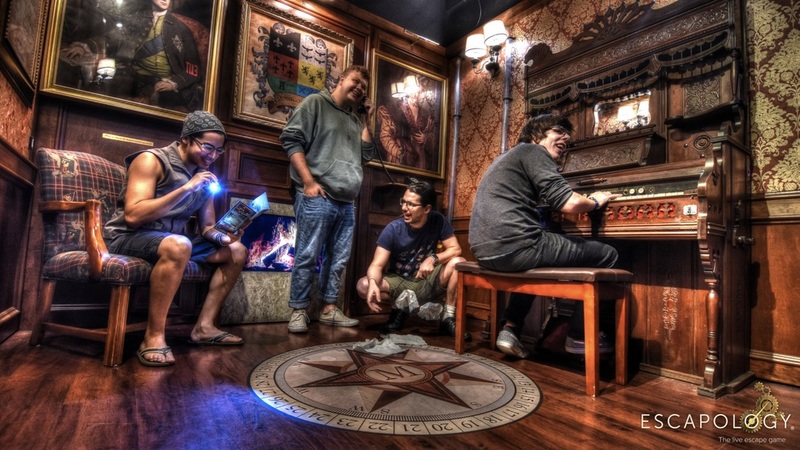 We were able to try out Murder Mansion, one of the more popular and harder of their escape rooms. 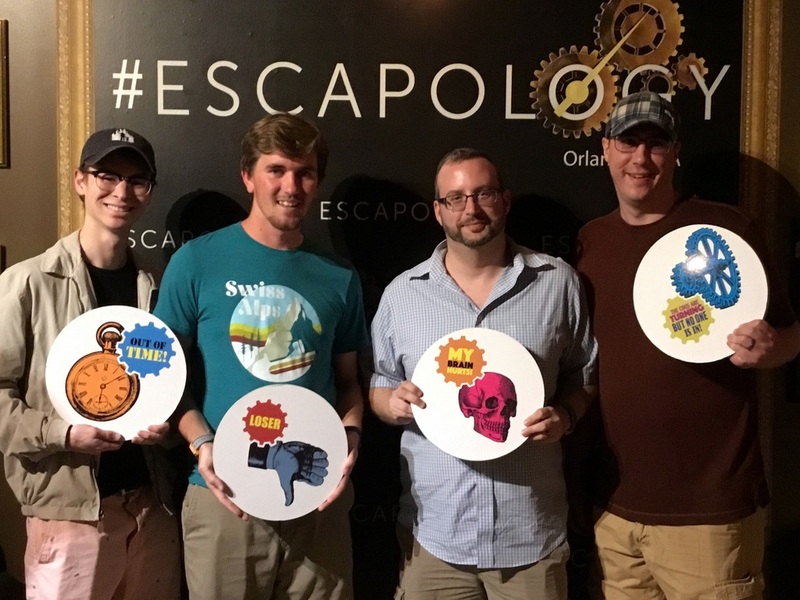 Escapology Orlando graciously welcomed us with a complimentary escape room experience, but as always, all opinions shared are our own. We won’t share any spoilers, but wanted to detail a little bit about the experience at Escapology for those who have never been. Upon arrival, we were greeted and asked to sign our waivers on electronic tablets. Nothing out of the ordinary – and perhaps the biggest part was the reminder that while the game is designed to make you feel like you’re trapped in the room, you can in fact leave at any time should you feel the need. One thing that makes Escapology Orlando unique compared to many other escape room experiences is that your party is the only one booked for your time – you don’t get grouped up with strangers. While trying to do an escape room with people you don’t know could be a great time, it’s also a gamble as to who you might be paired up with. At Escapology, there is no awkward situations since it’s only people you’ve signed up with to play. Our host took us into the room and explained a few of the rules and some tips. An important thing to remember is that not every item in the rooms is part of the game – sometimes a prop is just for decoration. As part of the game, each team gets three “free” hints that can be used at anytime. Additional hints come at a price – loss of time from the game clock. Also keep an eye out for extra hints your game master may share if they see you are stuck on something or need a slight nudge in the right direction. When they say Murder Mansion is one of the more challenging experiences offered, they really do mean it. We ended up using all three of our hints, and think the game master took pity on us when we got (hopelessly) stuck on one puzzle by helping us get past it. Still, other puzzles were relatively easy and most provided a challenge that was fun without being overly difficult. A word to the wise – don’t overthink everything. Sometimes the simple solution is the right one, so start with that approach first. All of the games at Escapology Orlando are designed to be experienced by any size group between 2 and 8 players. We feel between 4 and 6 is probably the best – enough people to help with the different types of puzzles and challenges, but not so many as to feel you’re competing with each other to be heard when working together. We didn’t make it out of Murder Mansion in the 60 minutes, but we had a great time trying. We were told after our attempt that only a small percentage of guests make it out of the room in the allotted time, and in fact we were only two puzzles shy of finishing. After our time was up, a host briefly explained the remaining puzzles to us, and then our group photo was taken. We then got to relax with some small bottles of water before heading out. All together from the time we arrived until the time we left, the experience lasted about 90 minutes. We all agreed we’re going to plan on going back to try another of the rooms at Escapology Orlando in the future, as it was a great experience for us as a group of friends who enjoy working together. Standard pricing is $29.99 per person, but follow their social media channels and search online for special offers as they sometimes offer discounts. Reservations are strongly suggested as they can book up in advance, but they do try to accommodate walk-ins if there is availability.